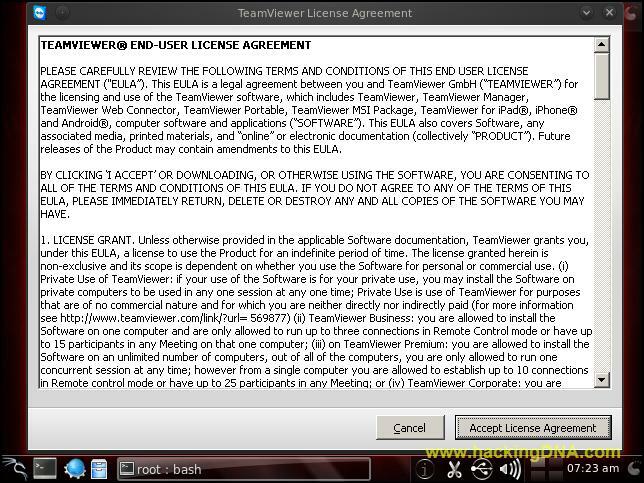 TeamViewer is a simple, fast and secure remote control application. You can connect any PC or server around the world in a seconds. 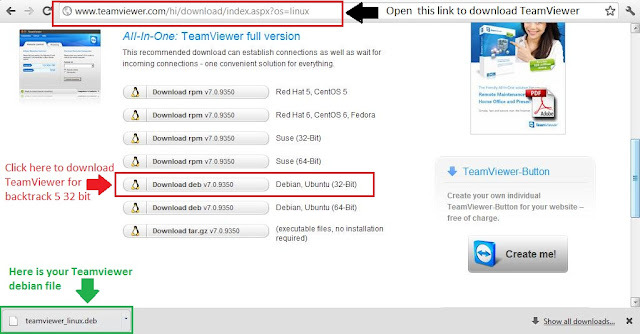 Give ad‐hoc remote support to colleagues, friends or customers. Administer Windows® server and workstations (you can configure TeamViewer to run as a Windows® system service – so your computer is reachable even before you are logged in to Windows®). Share your desktop for online‐presentations or collaboration. 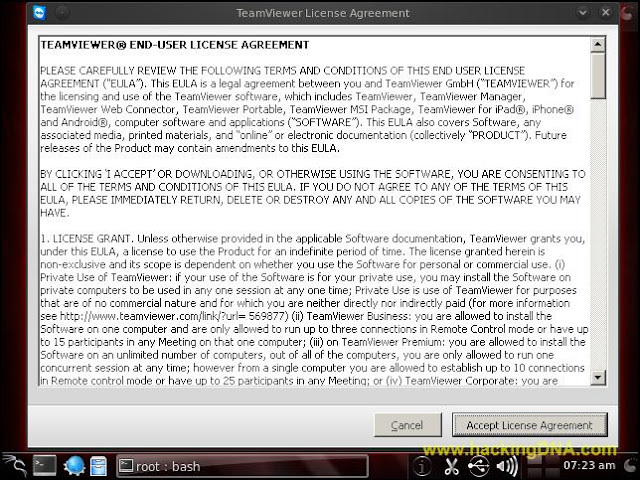 TeamViewer can communicate across firewall barriers and proxies without any need for specialconfigurations! For Chat between two systems . From the above link you can select your package . 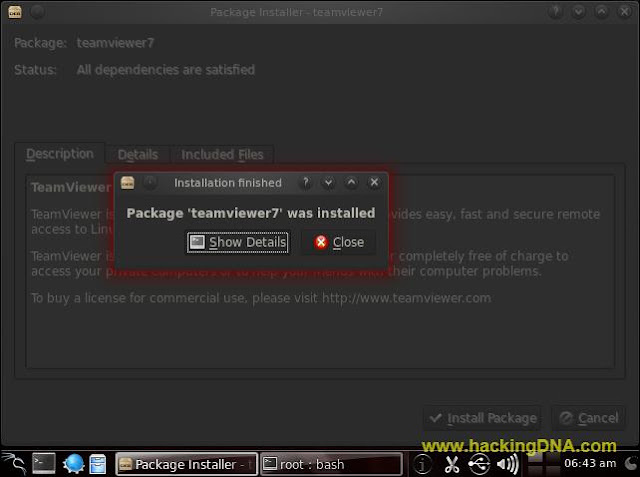 To install teamviewer on Backtrack Linux , single click on it. 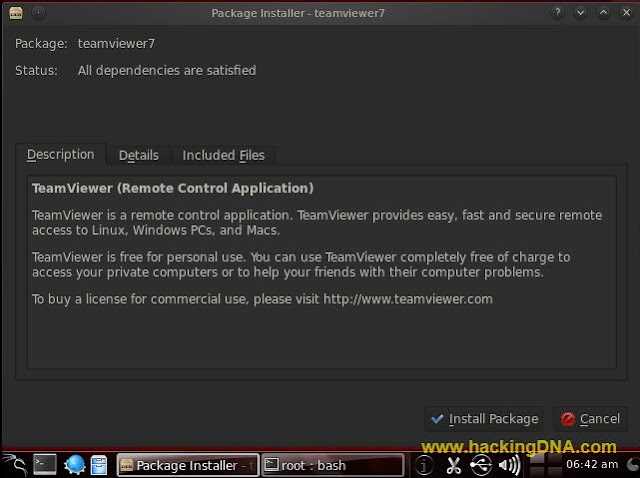 Before installation of teamviewer , Package installer is checking for all the dependencies ,until it get satisfied. Status : All dependencies are satisfied. After installation , click on the close button . To open Teamviewer 7 , click on the Internet > Teamviewer 7 . Here it is , your Teamviewer is successfully opened in Backtrack 5 . The above ip address i have given just for identification purpose. So in this example , first step is to enter the partner ID (Which you should know , then only you can access it ). After click on the remote button ,its authenticating , and in the next step it ask the remote password. Now enter the password and click in the Log On Button . 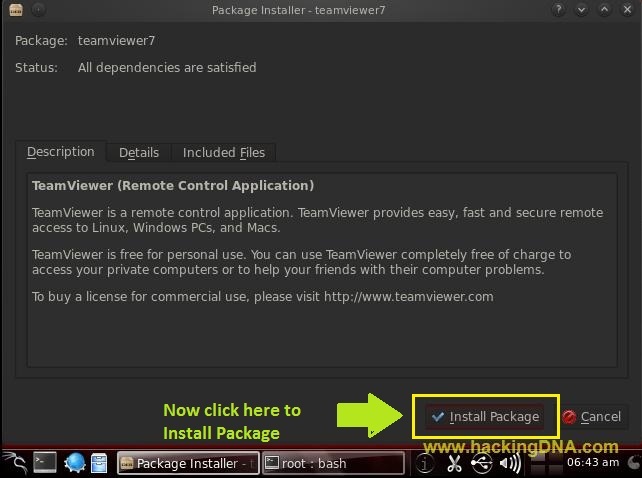 Here it is , another backtrack 5 is now on Remote . 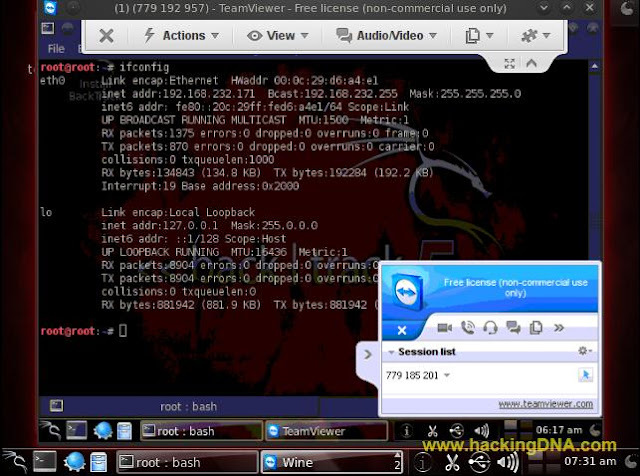 You can also do chat with remote system as a small conversation is going on between two system .